Organic sound from modern ribbon technology. With a switchable high-pass filter and attenuation pad, the Sterling Audio ST155 Large-Diaphragm Condenser Microphone provides additional versatility in the recording studio. Its 1 in. large-diaphragm design delivers richly detailed and articulate sound along with incredible smoothness and warmth, while its hand-assembled capsule and custom-wound transformer make it a standout in its class. Includes an SM8 premium metal, band-suspension shock mount and custom padded carry case that complement the ST155’s rugged construction and visual style. 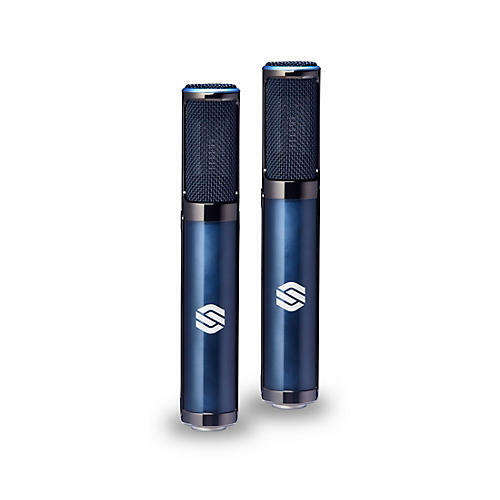 Check out The Hub article complete with audio samples comparing these and two other Sterling Audio Recording microphones. Try these ribbon mics in your setup. Order today and save.